The Jeep Wrangler has roots that go back to World War II and is a vehicle that’s built to handle all the rough terrain you can throw at it. This SUV is one that we’ve admired for many years and loved for what it can do. For the most part, we don’t ever want this SUV to change and it’s been basically the same for many years. Check out the pricing of this amazing SUV and see if it’s the right one for the fun and activity you want to have in Margate, FL. In the past, the Jeep Wrangler was only offered with one engine under the hood and now we see the new generation of this SUV offered with two. The first is still the Pentastar V6 engine that provides you with 285 horsepower and 260 lb.-ft. of torque. The new engine under the hood is a 2.0-liter turbocharged four-cylinder engine that gives you 268 ponies and 295 lb.-ft. of torque for the added benefit of more low-end power for the drive. Take a look at what this new model has for you at Massey Yardley Chrysler Dodge Jeep Ram Fiat in Plantation, FL where you’ll also see the pricing offered to make this an excellent choice for you in Margate, FL. Starting at the base model of the Jeep Wrangler, you’ll find the most affordable pricing for your Margate, FL fun in the Sport model that offers you 4WD, fog lights, underbody skid plates, push-button starting, the Sunrider sunroof panel in the roof, an eight-speaker audio system, USB ports, and auxiliary inputs. This gives you an excellent start to what you want your Wrangler to be when you’re ready to take a drive. Continuing up the trims for the Jeep Wrangler, you’ll see higher pricing, but you’ll also see many more features for you to enjoy the ride you’re going to love on the road. Options you can have for this SUV include power windows, air conditioning, keyless entry, an advanced Selec-Trac transfer case, more off-road qualities such as tubular rock rails, and an improved 4WD system. You can even choose a hardtop, an 8.4-inch Uconnect infotainment system, and blind spot sensors in this Wrangler that you want to be able to drive on the roads and trails around Margate, FL. Check out everything you can have for the Jeep Wrangler you want to drive. 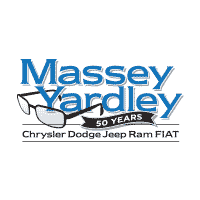 Find the right pricing for you at Massey Yardley Chrysler Dodge Jeep Ram Fiat in Plantation, FL and you’ll be ready to have the quality ride you want when you head out for some fun in Margate, FL. This SUV continues to offer you everything you’ve been searching for so that you can enjoy the driving experience that offers the ride that’s right for you out on the trails that you’ll want to explore with your new Jeep Wrangler as the ride you trust.